So here is my entry to the sketch challenge over at the Diva Coffee Break Designs sketch challenge #163. As I said in my earlier post, Valentine's Day is my favorite holiday. I don't know if its because I'm a 'softie' or if its because my birthday is in the same month, but I l o v e this holiday. 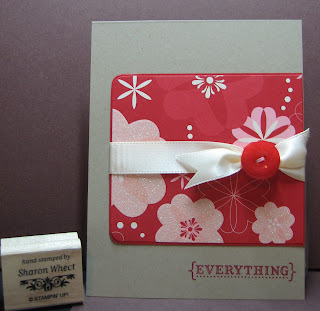 All supplies used for this card are made with Stampin' Up! For my card base I used Kraft card stock. I matted a scrap piece from the Sending Love DSP onto a scrap piece of Real Red card stock. I used a stamp from the Always stamp set. The greeting is in Real Red classic ink. I used a piece of the Very Vanilla 5/8" satin ribbon and a real red button from the Playground designer button set. I thought the button was missing a little something, so I cut a sliver of Pretty in Pink card stock, ran it through the button holes and secured it to the back of the button with some glue dots. 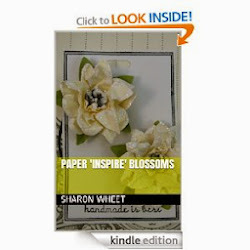 I wrapped one end of the ribbon around the card stock (where the card opens) to help give the card a 'finished' look. Thanks for looking. Have a wonderful day! And check out what some of the other ladies have done! 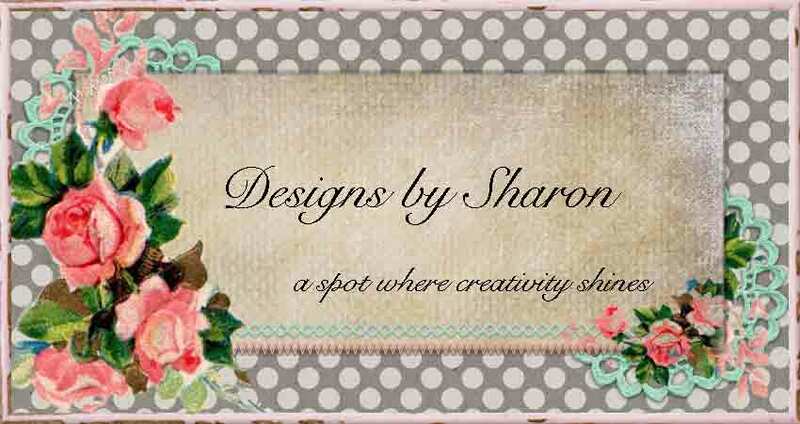 Love it, Sharon!!! Great job!! See ya Saturday! What a great card. Love that paper and the sentiment. Great colors! TFS!